We all have one of those friends. You know, the friend who insists on celebrating their birthday month as if it were a month deserving of international recognition? Of course, for this friend, no ordinary birthday meme will do. You're going to need something just a little bit special to post on her Facebook, Twitter, Instagram, and all the other places to post. We've got the scoop on the best places to find the right meme for your best friend. If you don't have any luck finding the right one, you can try your luck to see if you can create an image that turns into a meme. Afraid to Ask Andy Wonders About Scott's Birthday. With a large and enthusiastic following, Imgur might sound familiar to you. It's one of the most popular sites online to find and create memes. Easy searches to find birthday memes: happy birthday and (just plain old) birthday. What we like: Free and user-friendly. What we don’t like: Not exactly appropriate for all ages – many images on the home page are most appropriate for 17+ and also feature quite a bit of profanity. Happy Birthday images on Pinterest. Ah, Pinterest. Is there anything you can't find on Pinterest? (We'll get back to you when we think of an answer.) Pinterest does require you to register with them if you don't have an account (or you can sign up with Facebook). Handy searches to find fun birthday memes: happy birthday, funny birthday, and bff birthday quotes. What we like: So. Many. Options. You can also narrow down the selection by relationship, humor, quotes, and tons of other tags to find unique memes and birthday images that are perfect for your friend’s birthday. What we don’t like: Emerging from a Pinterest binge two days later and having missed your friend’s birthday. Seriously, where does the time go when you’re in Pinterest-land? And why am I so hungry? My Happy Birthday Wishes website is a good resource if you are looking for a fun birthday image and prefer to browse through a "best of" list instead of a general internet search. You can narrow down to posts with birthday wishes by clicking on Wishes and choosing the post you'd like to explore. What we like: Plenty of options to choose from that are pulled from all over the internet into handy "best of" lists. Canva Social Media Design Options. What we like: So many options! Canva has lots of font styles, tons of free design ideas, and templates for all different kinds of social media posts for nearly every platform. The handy app for your smartphone is helpful also. What we don’t like: Because Canva is a graphic design program and not strictly for memes, it may have more options but those options come with a bit of a learning curve. It doesn’t include the standard meme characters but does have plenty of other free images you can search for. If you have been looking for a good graphic design program for non-designers, making a meme for a friend is a great way to play with the program and learn the different features. If you only want a quick meme, it's not your best bet. 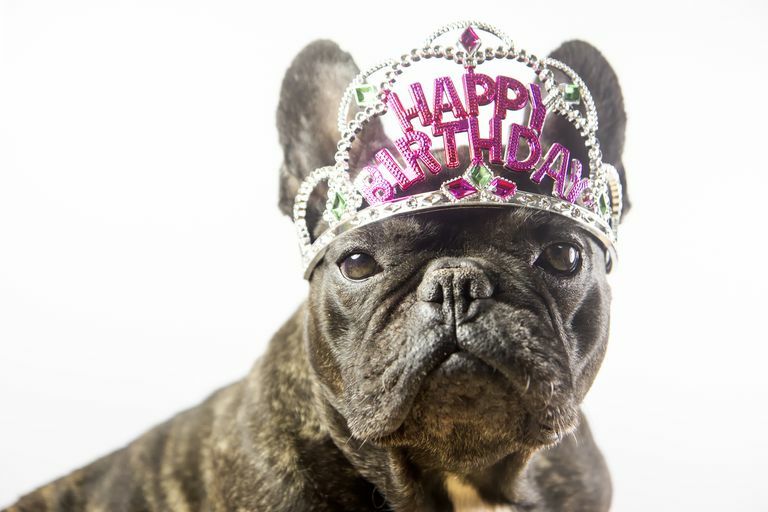 Creating a birthday meme using imgflip. Imgflip is another website primarily for browsing, sharing, and creating memes. The special thing about Imgflip is the option to create GIFs and pie charts as well. (Pie charts?) While you can browse the latest memes or hot memes, when you enter a search, you'll be presented with blank meme templates to choose from to create your own. What we like: Free. Easy to use. Ability to browse through memes others have created. Option to create GIFs! What we don’t like: Not as feature rich as some other options in terms of font styles and other options to customize. Doesn't allow for searching existing memes, only meme templates. We're still confused by the pie charts option. iMeme is an old-school app for your PC or Mac. What we like: iMeme is easy to use. Most of the popular meme characters are represented. After downloading the app to your Mac or PC, you can use it offline. What we don’t like: That ease of use comes at the expense of the look and feel of the user interface, which clearly still loves the 90's. It’s a bare-bones, basic meme creator–it gets the job done but doesn’t give much room for creativity. What we like: Lightning fast. Multiple styles. Super easy to use. Ads aren’t obtrusive. What we don’t like: If you want to go beyond the basics and do things like change font, change text color, upload your own photos to create new meme templates, remove the watermark, or remove the ads then you’ll have to pay. If you only want one of these features, you can buy them individually (which adds up fast) OR buy the Pro version upgrade and get all of it for only $2.99.